I started playing D&D in 6th Grade. That would be 1981 when I was 11 years old. The person who exposed me to D&D was my older cousin Trace. 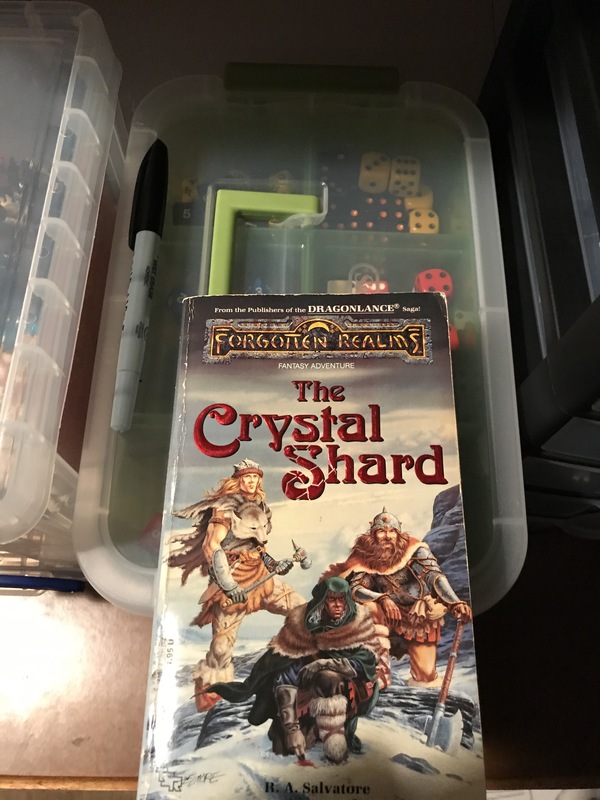 He still runs his weekly D&D game with his friends to this day in Huntsville, Alabama. For a long time he was a key event planner for the gaming convention in Huntsville. While doing this, he was able to coordinate the guests of honor that came to the Con to help draw more participants. This would have been in the early 90’s. My uncle worked for NASA at the time (he’s now retired) and Trace was able to get Bob Salvatore to attend the Con with the promise that a full-access tour of the NASA facilities would be included in the trip. We’re talking visiting areas that the general public weren’t able to visit with the standard tour. An unexpected, but cool, outcome to this was that Trace and Bob became friends at a time when Bob’s career was just beginning to take off. Trace even went and spent one Thanksgiving with Bob and his family one year! One day when I was at Trace’s house visiting he got a call from Bob and I was able to talk to Bob for 30 or 40 minutes on the phone. It was so cool! 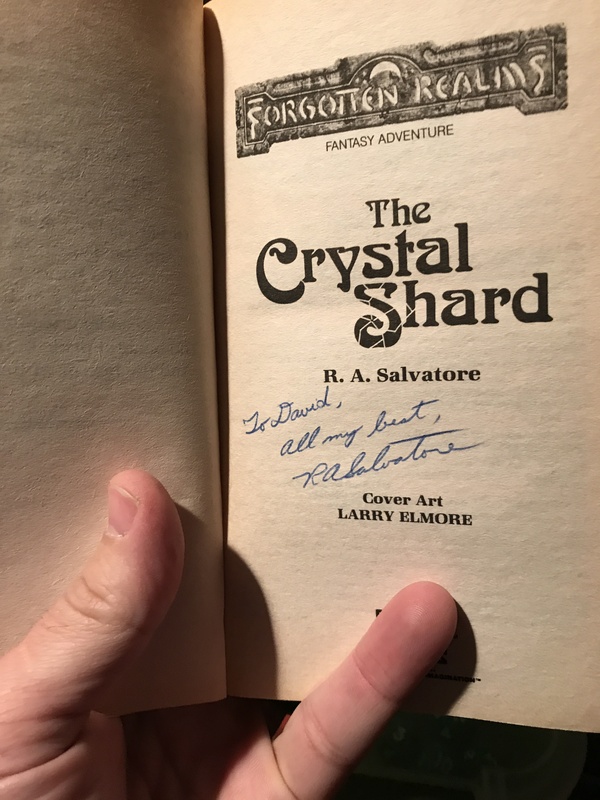 Another cool thing that Trace did for me was to get my first edition of The Crystal Shard signed by Bob! What does this have to do with the topic at hand? Good question. Not a whole lot other than I thought about all this while I was scouring the internet for stats on Drizzt and thought it would help add to my RPG street cred! Now to the real point of the post. When I created the Pulp Hero Team that accompanied my last post, I thought it would be cool to create a team of High Fantasy/Swords & Sorcery heroes to use as Player Characters. I mean, how fun would it be to go through a One Shot using Gray Mouser, Aragorn, and Gandalf as PC’s! Or to play through one of the dungeon crawls just released in Tales from the Yawning Portal using Elric, Drizzt, and Conan! My research around the net has uncovered the following trove of characters for both D&D 5e and Savage Worlds. Finally, here are links to fillable character sheets for both systems so that you can use the links above to craft your own all-star adventure group for your home-brew games.